Belgium international Thomas Vermaelen admits regrets over staying at Barcelona last summer. Numerous sides were interested in his signature including Everton and Crystal Palace. The Premier League sides wanted him for his experience playing at the top level at Arsenal and in Europe. Ernesto Valverde, who was just taking over the reins, convinced him to remain at the club. 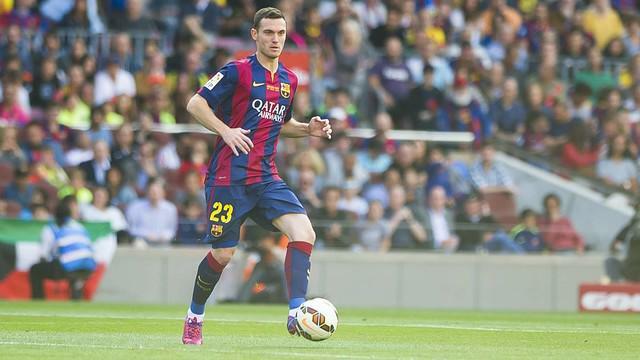 The coach asked that Vermaelen fight for a spot in the team despite the mountain against him. The defender agreed to remain despite the frustrating experience he has had since moving to the Nou Camp. La Liga have rejected the payment for Neymar as lawyers of the star seek to trigger his release clause of £198 million. The 25-year old is expected to move to Paris St-Germain in a record shattering move this summer. The player has informed the club of his decision to exit and even his teammates. However, La Liga have refused to sanction the deal, claiming PSG are violating Financial Fair Play rules. Spanish sources earlier claimed that Barcelona would report the incident to UEFA but nothing so far. In Spain, players need to buy themselves from their contract with clubs which is what Neymar’s reps have done. Players would deposit the buyout clause with La Liga so he/she could be release from his/her contractual obligations. It is the league that then releases the money to the club involved. It was the start of an important season and Manchester United were in dire need of making a comeback statement after a recent pause of their title winning spree no thanks to Manchester City and Chelsea. The once dominant traditional contenders where now at full fledge war with Arab and Russian billions. Something else troubled The Red Devils though;They were entering a season without legendary goalie Erdwin Van der Sarand there was a lot of uncertainty over the success of whoever was going to take the baton from the then 31-year old. The last time Manchester united faced a goalie crisis; it took years to land one capable of really standing in the big shoes of legend Peter Schmeichel. And that person was yes Van der Sar. Earlier in the season, Luis Enrique announced that he will step down as the head coach of Barcelona when the end of the season arrives and this has sparked rumors to spread around in relation to who is going to step up and become next manager of Barcelona, one of the candidates that was being heavily linked with the coaching position in Camp Nou was EusebioSacritan. Eusebio Sacristan is a former player of Barcelona; he helped the Spanish club in lifting 4 La Liga trophies as well as more pieces of silverware during his time spent as a player back in the 1990’s. Neymar is not frustrated at not being able to have his hands on the Ballon d’Or award yet in his career. In the opinion of Neymar, personal awards are not the biggest prizes in the game and even though he has aimed for Ballon d’Or in the past couple of years, it has not affected him that he hasn’t got it to his name. Catalan giants, FC Barcelona rejected the chance to sign Real Madrid midfielder, Luka Modric in 2008 just before he signed for Tottenham Hotspurs. Former Barca scout and father of the Blaugrana’s protégé ­– Bojan Krkic Sr. – made this revelation while speaking with SER Catalunya. According to him, Barca could not sign Modric because they felt satisfied with what they had in the middle of their park – Yaya Toure, Sergio Busquests, Andres Iniesta and Xavi – which to them were enough to keep their success engine going. They were wrong. Xavi has since hung up his boots, while Toure left for Manchester City after a strained relationship with then coach Pep Guardiola. Only Iniesta and Busquests are left at the mesunque club. “We had it our hands. Modric was a player with a winning mentality, but the club weren’t thinking about the future, only the short to medium term. A few days ago on October 25, Barcelona suffered a rather surprising 1-0 defeat against Espanyol and the aftermath that rose with this result has seen Luis Enrique receiving heavy criticism mostly due to his selection decisions as none of Barcelona’s truly influential players were given playing time in this match and they ultimately succumbed to defeat. Barcelona has impressed in the win which saw them beat Leganes 5-1. This was a masterclass display from the Spanish team that seems to have hit top form in recent games. Indeed Barcelona has scored twelve goals in their last 2 matches and seems to be unstoppable at the moment. The win against Leganes followed the impressive match that saw them thrash Celtic 7-0 in the Champions League, and it appears that there is no team at the moment that can prevent Barcelona from winning. The Spanish side may be actually playing the best football of the Luis Enrique era and at the moment pundits believe that there is still more to come from the club. Despite making numerous changes to the first team, Barcelona seems to be capable of unlocking any defense and score whenever they want. In the match against Leganes, Luis Enrique experimented with an offensive 3-4-3 formation, and this gave the Barcelona team license to attack their helpless opposition. The attacking trio of Messi, Neymar and Suarez were at their best and caused all kinds of problems to the opposition. 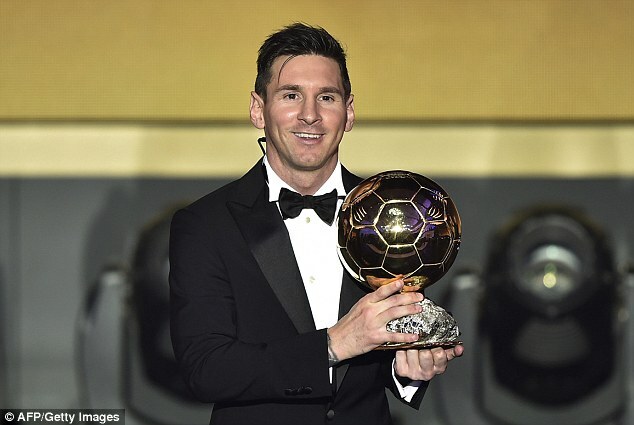 Although Messi did not score in the game, this does not prevent him from creating various opportunities in the game and causing problems to the opposition defence. Luis Enrique said that he was pleased with the performance of his team and the way they played during the game. He said that all his players gave their best in the match and that he is happy with the character and determination they showed on the pitch. He believes however that there is still room for improvement as the strikers missed far too many chances. He admitted that his team will not be given this time and space in every game and that they need to become more accurate in front of goals. Rafael Benitez believes that the performance of the new players will determine whether Newcastle will be able to mount a serious push for promotion. The Spanish manager believes that Newcastle United has a good chance to get back to the Premier League, but it is important that each player plays their part. Although some players have left the team following their relegation Rafael Benitez has brought in some new faces and believes that they can help the team reach their objectives. He said that it is normal for some players to want to play in the Premier League or abroad but he will need to count on those that are staying. He believes that there are players that would want to stay with the team and to fight in order to bring the team back to the Premier League. At the moment he wants to develop a good team spirit within the club and also help the team improve tactically. He admitted that it would be tough to play in the Championship, but they will have to prepare well. He said that it is a new competition for them and that there will be new clubs that there will be facing. For Rafael Benitez, it is possible for Newcastle United to win their promotion but the players should be prepared to fight for it. He said that playing in the Championship is all about fighting and that the players should be ready physically and mentally. He stated that it is no use complaining about the players that have left the team and that fans should get behind the new players that have just joined the team. Benitez believes that the new players have the potential to improve the team and that they should be able to help the team fight for promotion. There have been speculations that Spanish champions Barcelona want to add Funes Mori to their squad ahead of the coming campaign but the club’s chief has confirmed that the club will not sign the player this summer. Barcelona sporting director Robert Fernandez said the club will be tracking the progress of the player but will not bid for him to join them just yet. “He’s a good player and we’ve known him well for a long time, but we’re not going to sign him this summer,” the director said effectively all speculations. 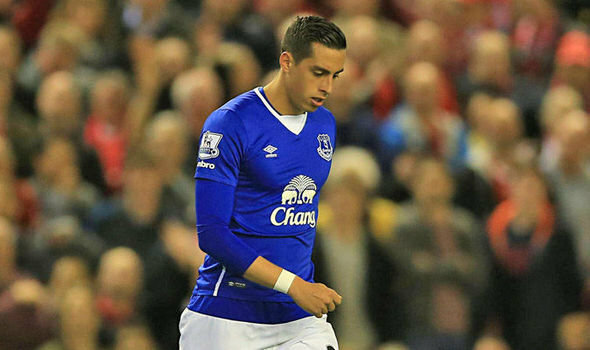 Funes Mori played a brilliant debut season for Everton in the last campaign. He made 28 Premier League appearances Goodison Park and scored four goals. On the other hand, the club is reported to be having issues with Neymar, according to reports from Spanish paper ABC. 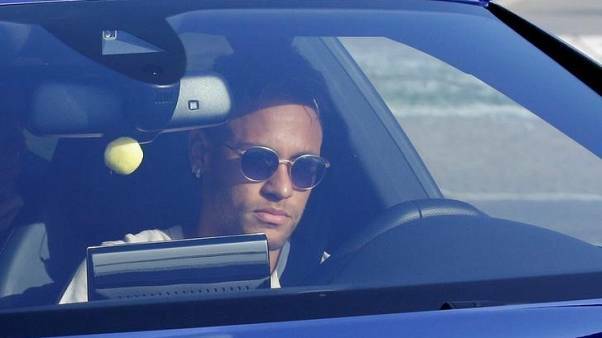 The report mentioned that Neymar’s agent and his father wants the star player to leave Barcelona in light of all the transfer troubles since he joined the club. They want him to sign for Real Madrid and start on a clean slate. If Real Madrid wants to sign the player, they would need to meet the release clause for the player which is €190 million. Another clubs interested is French champions Paris Saint-Germain. There are other reports that the star player could sign an extension with the Catalan giants as Real Madrid are not in a hurry to sign him, given the alternatives they have. Alvaro Morata and Paul Pogba are still heavily linked with the club.